A colourful sensation that can boost anyone's mood! 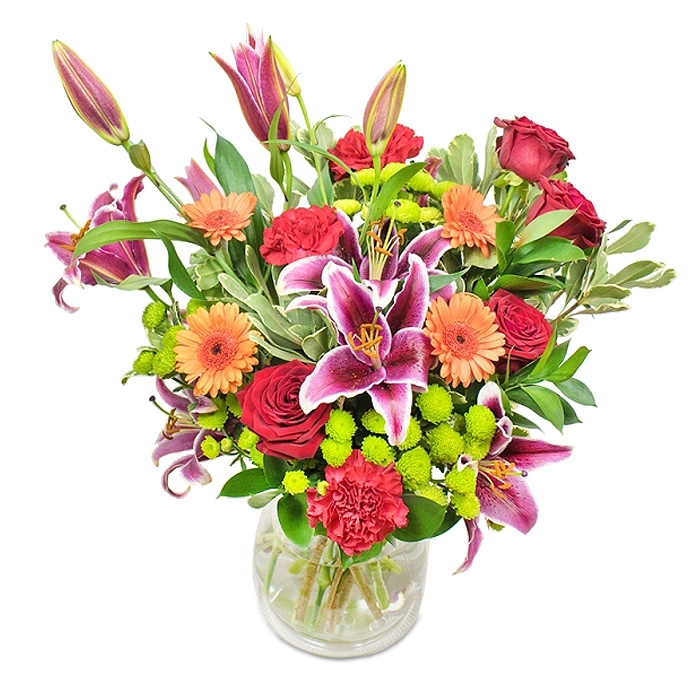 Featuring gorgeous oriental lilies, perfectly combined with orange germinis, red roses, red carnations, green chrysanthemums, ruscus and pittosporum. 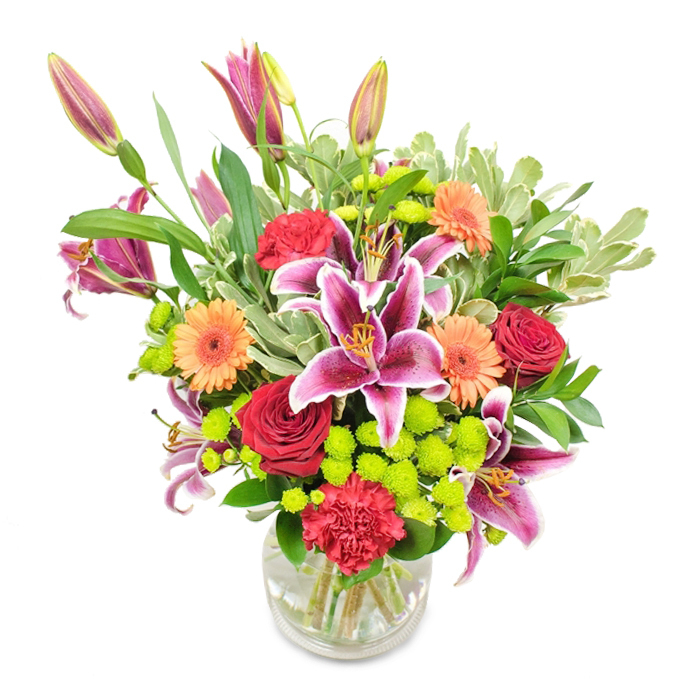 A wonderful bouquet that can definitely make people happy! Original size bouquet pictured. Original Bouquet contains 9 stems. My mom received the bouquet yesterday, ordered by a relative in USA. I must say me and my mom were both very impressed - all flowers were in place, looked and smelled amazing! The florist is very skilled! Ordered the original size of this bouquet for my daughter's birthday. She loved the flowers and they lasted for quite a long time. Spectacular bouquet! Arrived on time. My daughter made the greatest choice of bouquet for my birthday. 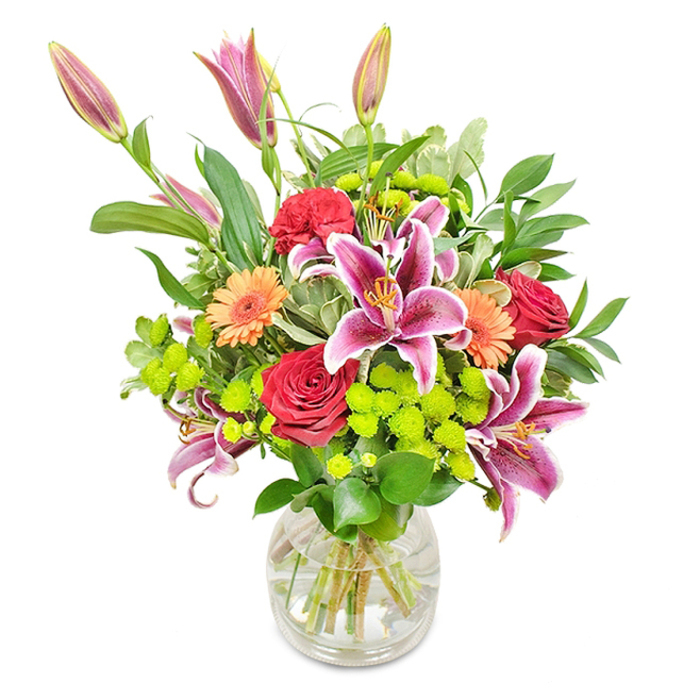 I got this sweet lily bouquet last week and I have to say that it looked even more amazing that the pictures on the website. One of the best gifts I've received! Hey, just taking a minute to say BIG THANK YOU to this brilliant company! Chose the most sophisticated bouquet from this florist. The categories on the site helped me a lot in selecting just what I needed and it was delivered on the next day. Very convenient! The most whimsical bouquet design and the most striking flowers! Very pleased with the friendly customer service and the swift delivery!